Everyday, we’ve are getting closer and closer to realistic VR, and while we’re not quite there yet, new innovations are cropping up left and right. The Oculus Rift has been on the radar for quite some time, but we know for certain that it’s going to be coming out in the first quarter of 2016. There have been a few other attempts at realistic experiences, but they’re oftentimes a bit too big for the living room, and are way out of our price ranges. 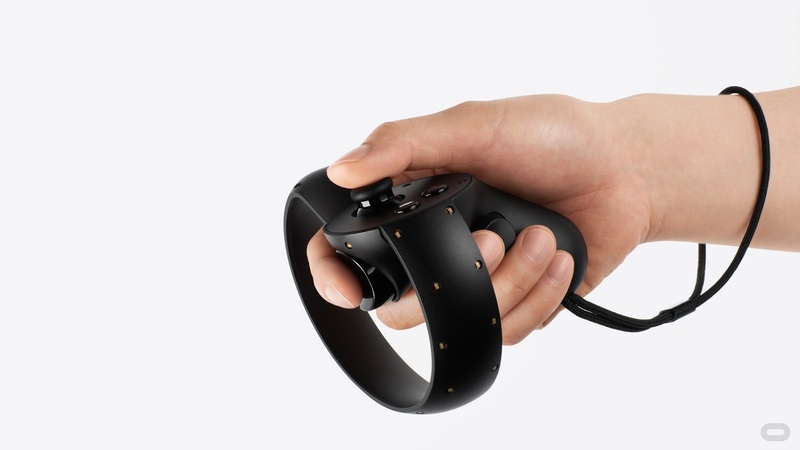 Where the Oculus Rift gives you sight and sound, the Oculus Touch is going to give you a chance to cooperate with your virtual universes in an entire new manner. There are a variety of ways to interact with these controllers including hand presence, manipulation, and communicative gestures. They look like a PlayStation controller split in two with a melted circle surrounding it, but it is said to act like an extension of your hand. Each side has an analog stick, two buttons, and a trigger. Of course, just because the buttons are familiar doesn’t mean the experience is going to be. The gap between the worlds of games we’ve always wished to be a part of but could never really experience without the separation of us and the screen is closing inch by inch. Too bad that you’ll have to have oodles of money within the next year to experience it though as this is not going to be a cheap purchase.